Tim Buchman was on a “flying hiatus” before he met Cirrus Regional Sales Director Jonathan Sweatman at an open house event. Hearing all about Cirrus innovation sparked his interest, so, of course, Tim had to check out this revolutionary aircraft for himself. “Two things put that airplane into my family’s hands. My wife makes all of the decisions in this relationship, and once she got into the airplane, she realized how the high workload a pilot has to deal was reduced by the Cirrus’ design. And second, was the parachute. CAPS® sold the airplane. Having the parachute as plan B in case I became incapable of flying the aircraft was a big deal for her,” Tim said. After careful review and consideration, Tim and his wife became a part of the Cirrus family, and now, he’s flying his second Cirrus aircraft. “When you buy a Cirrus, there are all sorts of advantages and a lot of ‘bests’ about being a part of the Cirrus family. From the sales family to COPA, to my local aviation family, they are all extremely valuable to us,” he said. Being a two-time SR20 owner, Tim knows how special it is to be a part of Cirrus. He realized that a lot of people would love the opportunity to fly, so his Cirrus is available for new students and qualified pilots to rent at Cirrus Training Center Aero Atlanta Flight Center in Atlanta, Georgia. “It’s important to me that other people are able to have the opportunity to learn how to fly in a Cirrus and get that great experience. Sharing the knowledge, safety and love for adventure is very rewarding,” commented Tim. Tim avidly flies his Cirrus. Out of the three travel options, Tim will pick flying his Cirrus nine times out of ten. Less worry than driving and less hassle than commercial flying – his airplane is kept 12 minutes away from his home, and he parks his car 10 feet away from his plane. As a doctor, Tim also has a lot of pressures with his job, and his Cirrus helps him release those. 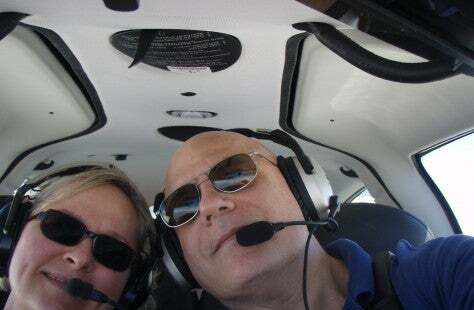 “I leave all of my stress behind when I’m in my Cirrus. It stays behind on the ground. What makes Cirrus flying such a pleasure are the obvious – and not so obvious – design features. From the cockpit layout to Cirrus Perspective™ by Garmin®, to CAPS, to the electrical redundancies and so much more. All of these ease the pilot workload while enhancing situational awareness. 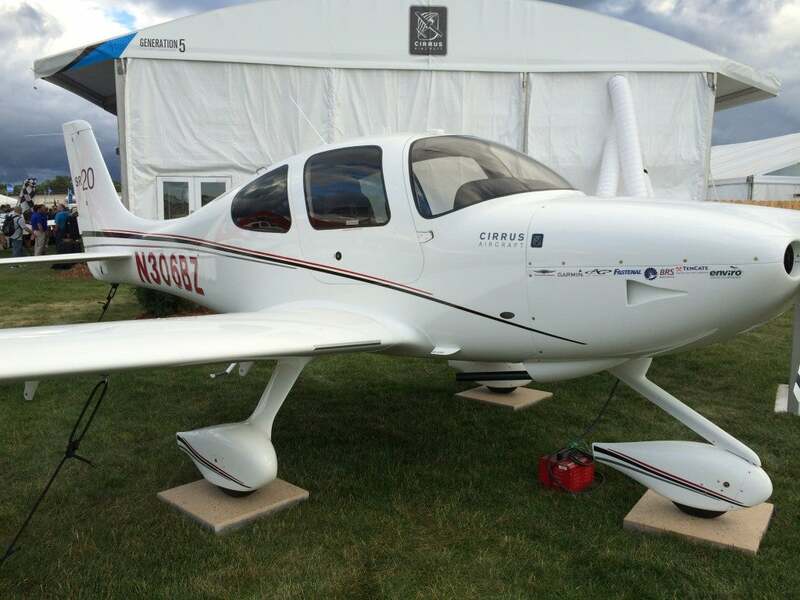 Cirrus’ engineering and Cirrus Standardized Training enables me to focus on decision making and flight management, and being a certified Cirrus Standardized Instructor Pilot (CSIP) as well makes me a better, safer pilot,” explained Tim. Tim’s SR20 on display at the Cirrus booth during the 2014 EAA AirVenture Oshkosh.